Ella Rhodes speaks to Professor Linda Clare, Chair of the British Psychological Society's Dementia Advisory Group, around the launch of their new report. Dementia now stands as the leading cause of death in England and Wales for the first time, overtaking heart disease, but what can be done to tackle this devastating condition and to improve the experiences of those living with it? A recent British Psychological Society report, Psychological Dimensions of Dementia: Putting the Person at the Centre of Care, highlights the areas where action is needed to improve both understanding and care. We spoke to one of its authors about the role psychologists can play in improving dementia care and why this report has come at a crucial time. Figures released by the Office for National Statistics showed dementia was the cause of 61,000 deaths in 2015. This shift may be down to both an ageing population and better diagnosis by doctors – the condition is now also given more weight on death certificates, according to a BBC report. Although rates of dementia seem to be falling in some countries it still affects around 850,000 people in the UK as well as having huge implications for the families and friends of those affected. The BPS report suggests that to help people live well with dementia we need a better understanding of its psychological impact. The BPS Dementia Advisory Group authored the report, which stressed that dementia affects a person’s sense of identity, how they think and behave, their mood and their personality. Among their recommendations, the authors suggest those with dementia should be supported in making their own care decisions as far as possible, that their care and treatment should be tailored to individual needs and circumstances and that families and carers should be included in care planning at all times and have access to psychological support. The report also emphasises that a person’s care should involve perspectives and inputs of practitioners from various disciplines. This report has come at a crucial time for both dementia care and research, as the condition is currently a priority among charities and policymakers. There has been a noticeable shift in focus in recent times towards developing effective drug treatments and improving the quality of care people receive. The development of the new Dementia Research Institute is under way and extra funding from the Alzheimer’s Society, which will be launching an ambitious new strategy next year, has ensured that the Dementia Research Institute will cover care and public health as well as biomedical research. 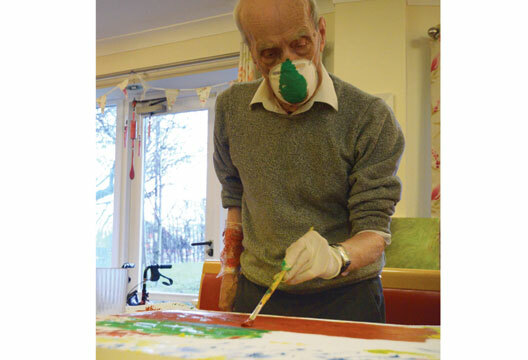 - Photo: From the Dementia and Imagination Project.